Which Colour Flowers Should You Buy? Valentine’s Day is the perfect occasion to show your lover, family or friend just how special they are. Flowers have a long history of being the ideal gift whether you are celebrating 30 years of marriage, have just started to date someone or want to show your friend you appreciate them. “The beauty of flowers as a Valentine’s Day gift is that they can easily be personalized depending on how you want to make someone feel” said Dejan Kristan, Marketing Director at Flowers Canada (Ontario). “You want to send out the right message to your Valentine, whether it is ‘I love you’, ‘I care for you’, or simply—‘you are a great friend’”. Red: Undoubtedly the colour of passion. 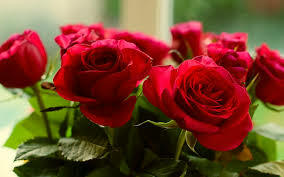 Giving out a red flower arrangement will communicate your strong and powerful love. With a colour the same as the heart, red means seduction, desire and passion. Try red roses, red gerbera daisies, or red tulips. Pink: A colour of innocence and sensitivity, but also very romantic. Although red flowers mean love and passion, pink flowers can show your gentle, yet deep love for someone. 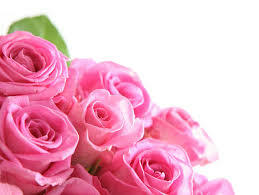 Pink flowers can also indicate appreciation, joy and happiness. Try pink ranunculus, calla lilies, or potted azaleas. Yellow: The colour of harmony, trust and kindness— a great middle ground between friendship and love. 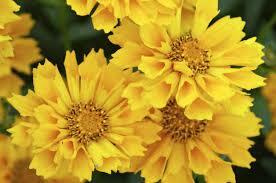 Yellow flowers have grown increasingly popular in the work place and at social and family gatherings. These convey meanings of sympathy, thoughtfulness and friend-like love. Try daffodils, yellow tulips, chrysanthemums, or potted begonias. Orange: Symbolic for growth, enthusiasm and warmth—orange is the colour of friendship and community. 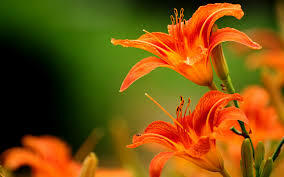 Orange flowers send feelings of happiness and joy, with a hint of adventure and spontaneity. Just like a beautiful sunset, these flowers can also convey a message of fiery passion and intense desire. Try orange parrot tulips, gerberas, or Asiatic lilies. Green: This colour will send wishes of good fortune and harmony. Green is the colour of health, youth and prosperity. By giving this flower, you are telling your friend or loved one that you’d like your relationship to grow and continue to do well. 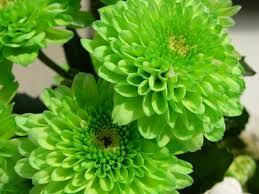 Try an arrangement with lots of green ball chrysanthemums, or give a lucky houseplant such as jade or pachira. Purple: A royal colour which often means fascination and respect. 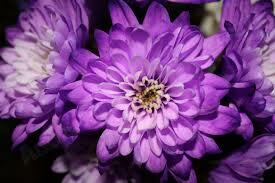 Purple flowers show a very romantic gesture as they carry with them feelings of elegance and charm. These can express feelings of love at first sight and say ‘I admire and adore you’. 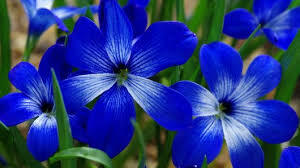 Try purple iris, campanula, or an elegant potted orchid. Blue: Blue means serenity, intimacy and deep trust. Blue flowers are often used by long-term couples to communicate their never-ending love, trust and loyalty in a relationship. Try soft blue hydrangeas, or a bouquet of delphinium and muscari. 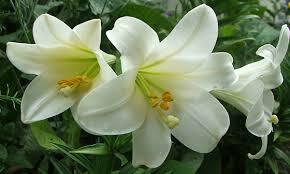 White: The colour of purity, innocence, sympathy and humility. 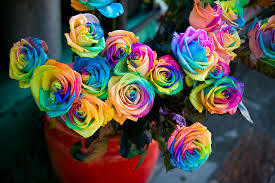 This flower will show your friend or loved one that you are thinking about them. While it does convey messages of purity and innocence, this colour also means new beginnings. 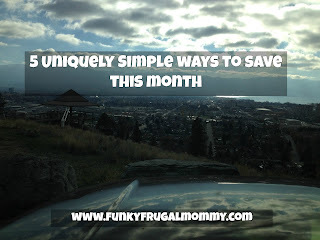 If given to a long-term partner, they show you want to move forward and think about marriage. Try white daisies, roses or gardenias. For more information, please visitwww.pickontario.ca. Follow @pickOntario on Twitterand Instagram, and like them on Facebook. Pick Ontario is a comprehensive marketing communications campaign developed by Flowers Canada (Ontario) Ltd. to raise awareness, interest and demand for Ontario-grown cut flowers and potted plants. Launched at the Grocery Innovations Tradeshow in October 2007, the fully integrated strategy includes PR, media relations and outdoor advertising initiatives intended to promote the reasons why consumers and retailers should Pick Ontario. When you Pick Ontario, you are supporting the more than 200 greenhouse farmers who employ over 7,000 people in our province. The growers in Ontario work hard to produce quality flowers and are always looking for latest trends in technology and growing techniques. This is all done to produce the best flowers possible!